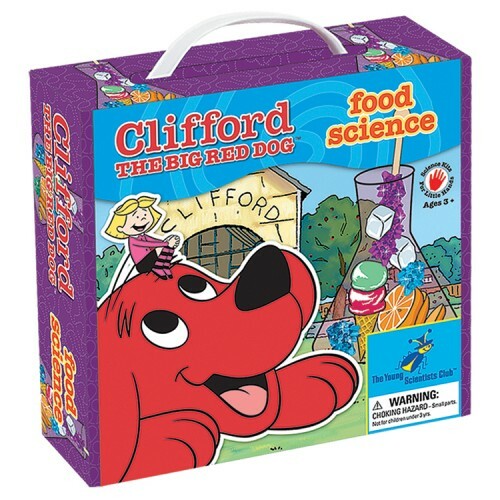 The preschool scientists will have fun making their first steps in science and exploring Food Science with Clifford! 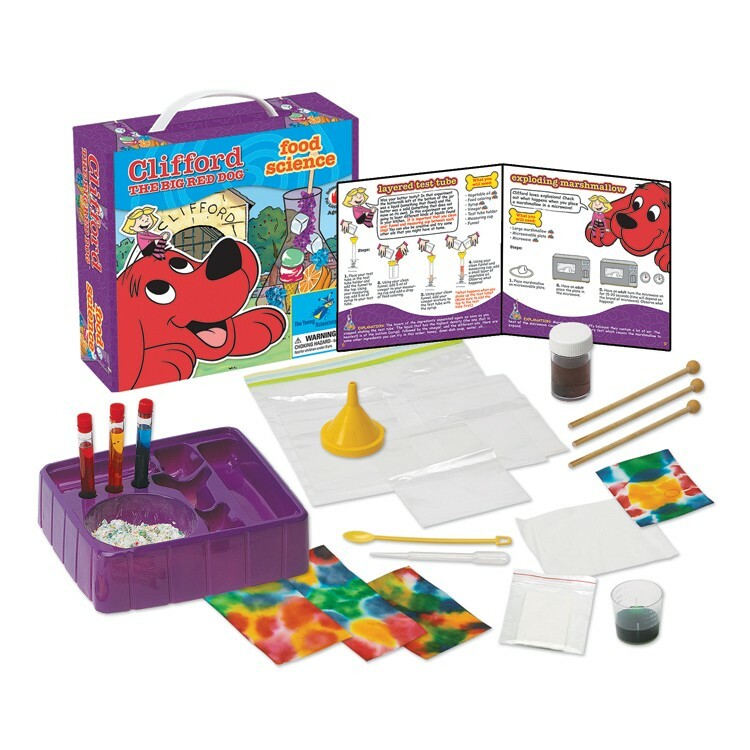 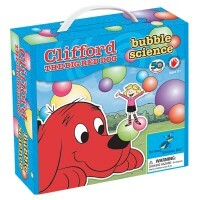 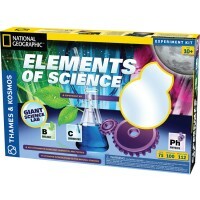 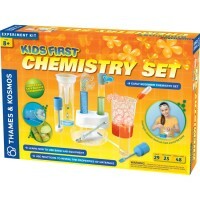 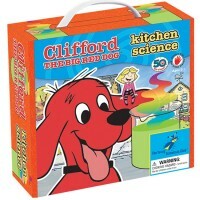 Food Science Clifford the Big Red Dog Preschool Science Kit. Clifford and his friends love exploring the world around them and with this exhilarating kit they are learning all about FOOD SCIENCE. 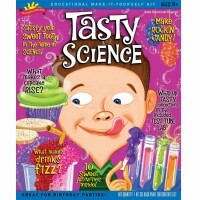 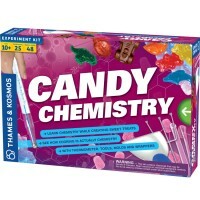 Emily Elizabeth, the narrator in the colorful 20-page manual, guides young scientists through tasty experiments with catchy titles such as rainbow ice, ice-cream in a bag, homemade butter, layered test tube, exploding marshmallow, dancing pasta, jello magnifier, color chromatography, secret message, rock candy, edible volcano, chocolate slime, and floating orange. 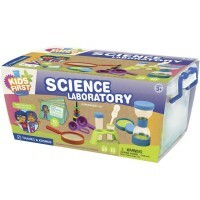 Young Scientists will feel like real scientists when they use the included lab tray, measuring cup, test tubes, funnel, and pipette to perform their experiments! 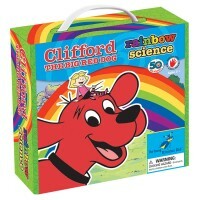 Join Clifford and his friends on an adventure into the world of science! 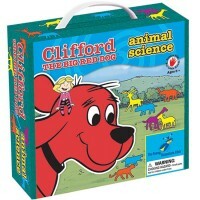 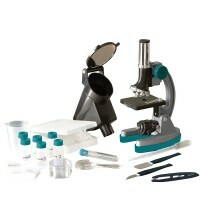 Write your own review of Food Science Clifford the Big Red Dog Preschool Science Kit.